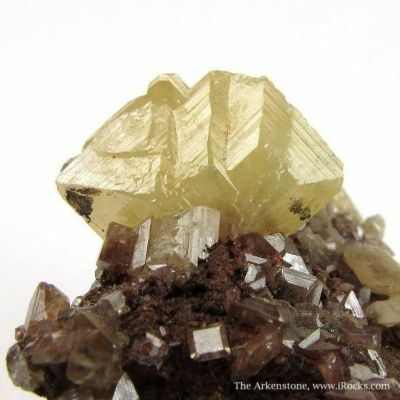 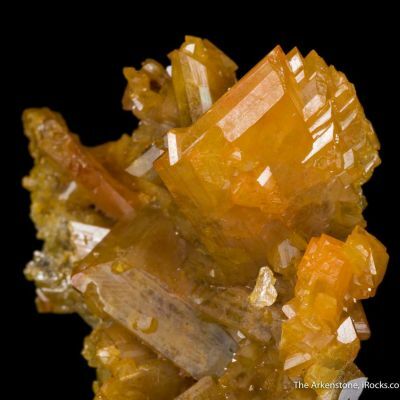 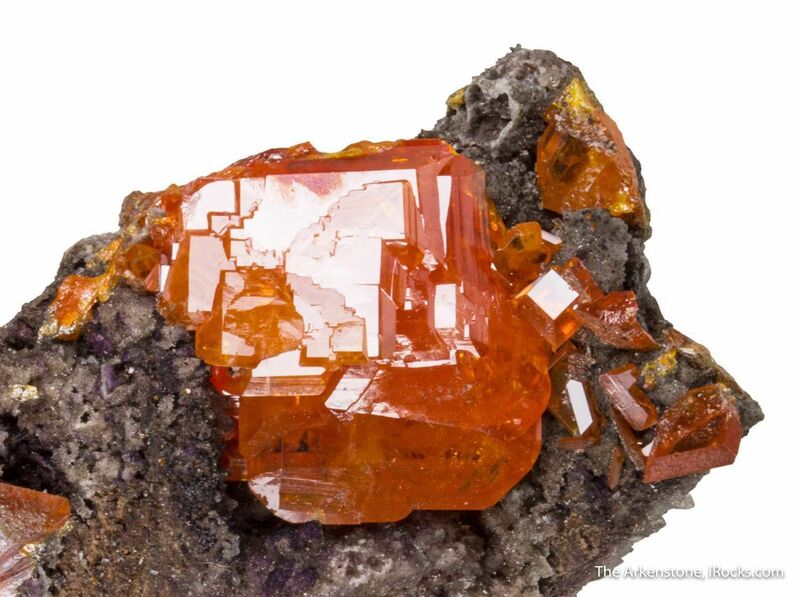 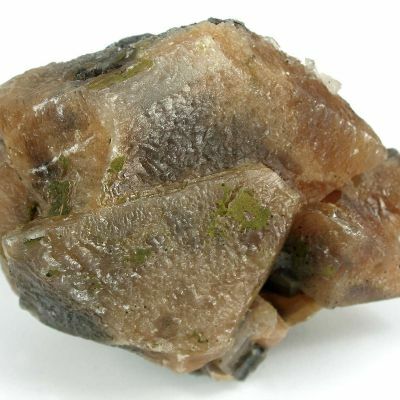 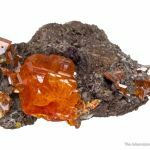 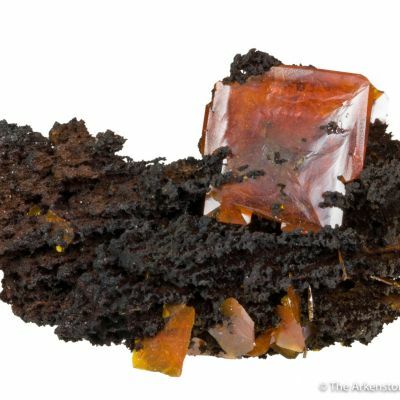 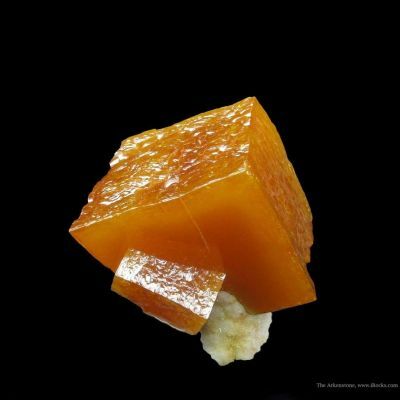 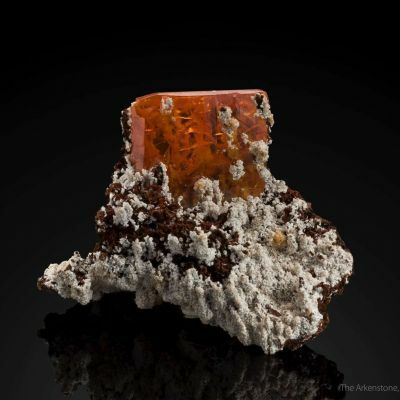 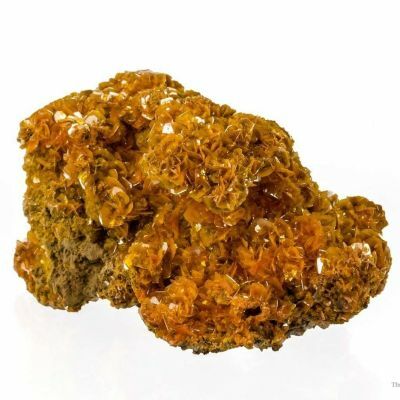 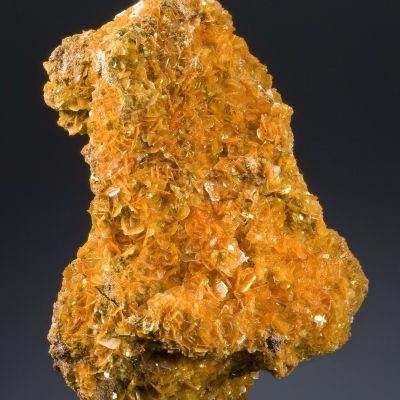 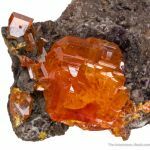 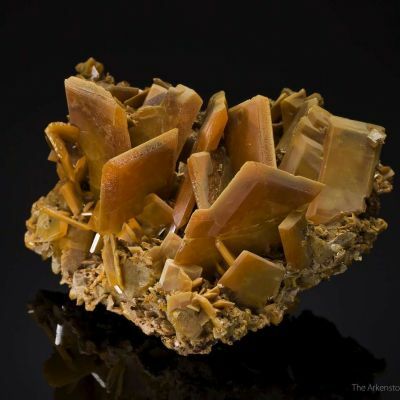 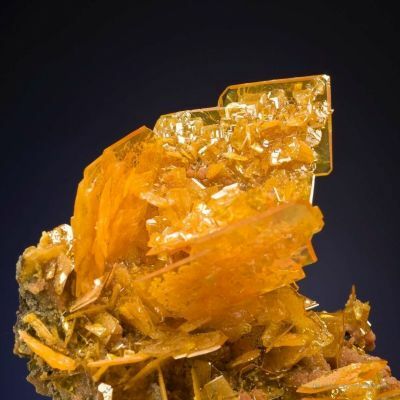 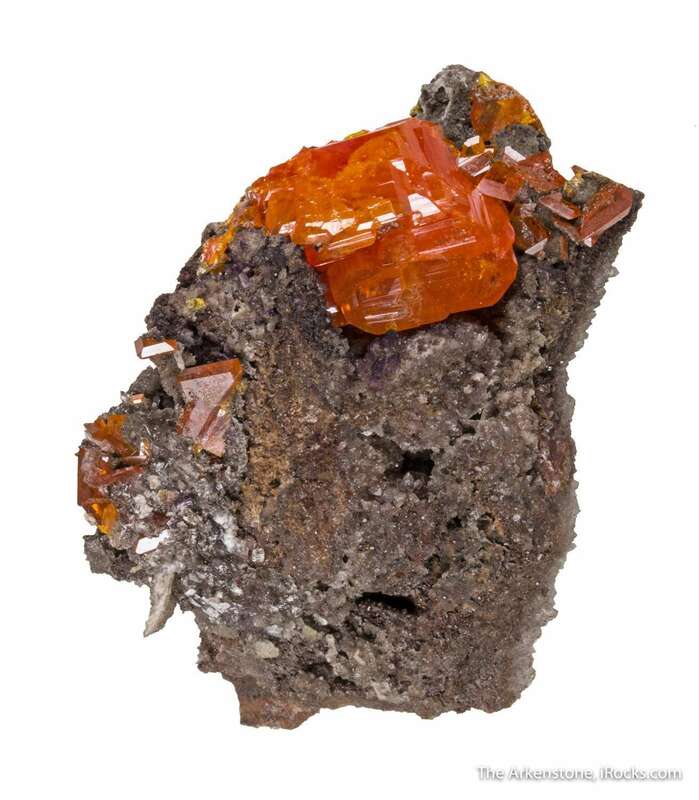 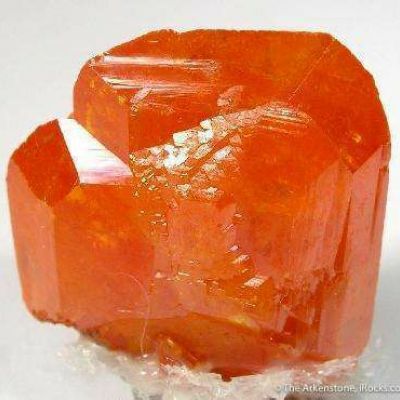 A shockingly fat and juicy, geometrically fine crystal of wulfenite measuring 2.3 cm in length, surmounts a well trimmed matrix on this important small cabinet specimen. The crystal is just over an inch, and it shines color out at the viewer. 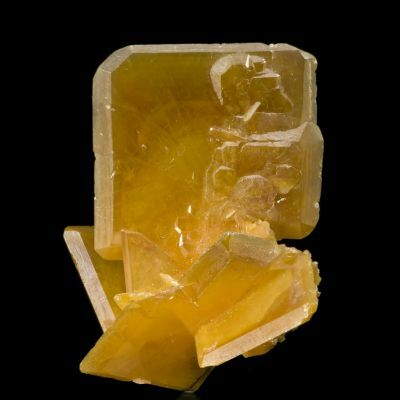 It is nearly complete, contacted only on the back-facing edge (which by the way has some gem rough quality material inside, as you will see in person). 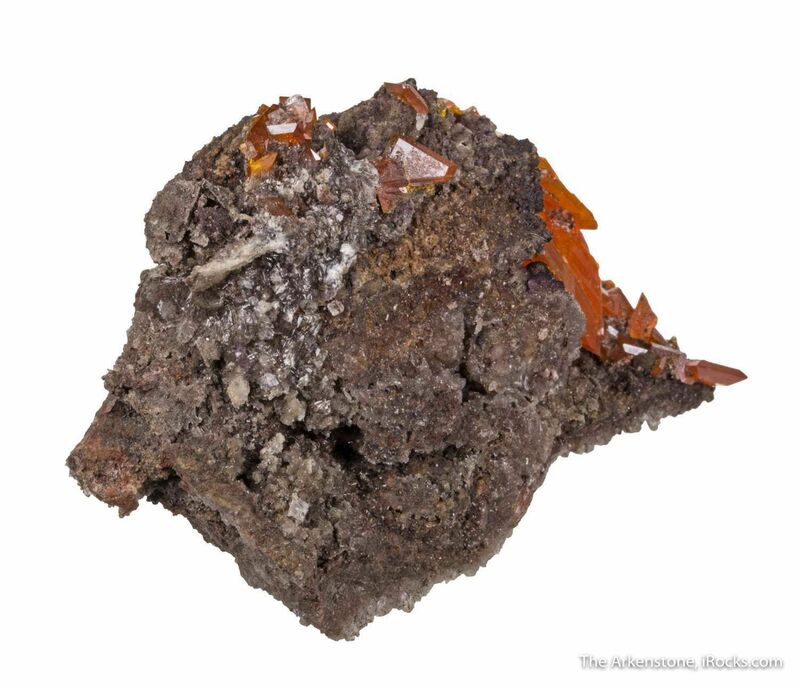 If I did not personally get this from Rock Currier, who got it from his friend Bob Bartsch who self-collected it in the 1960s, I would believe this to be an old 1930's Ed Over specimen. 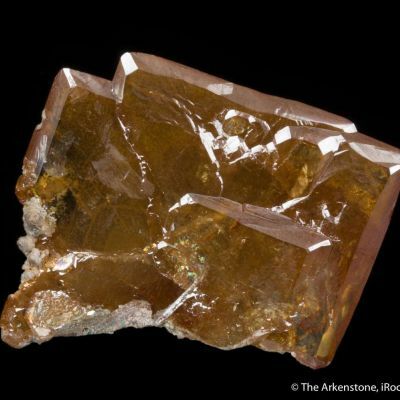 It has the right size, color, and fat robust shape as that old find! 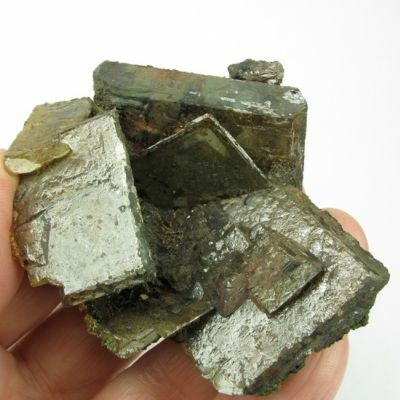 Seldom have any more modern finds duplicated the old, in this size. 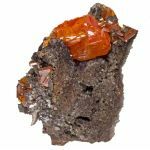 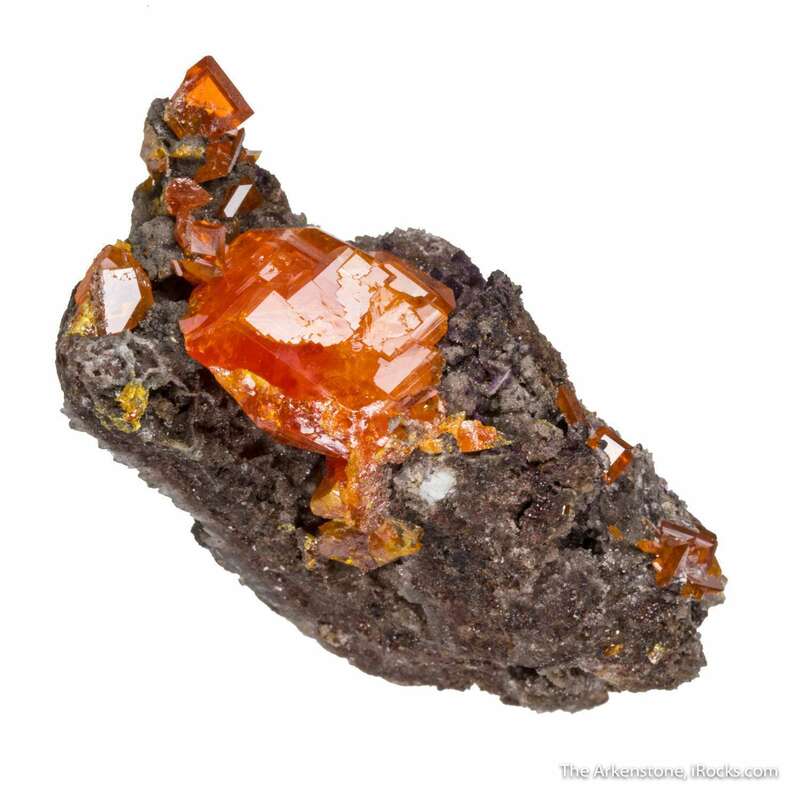 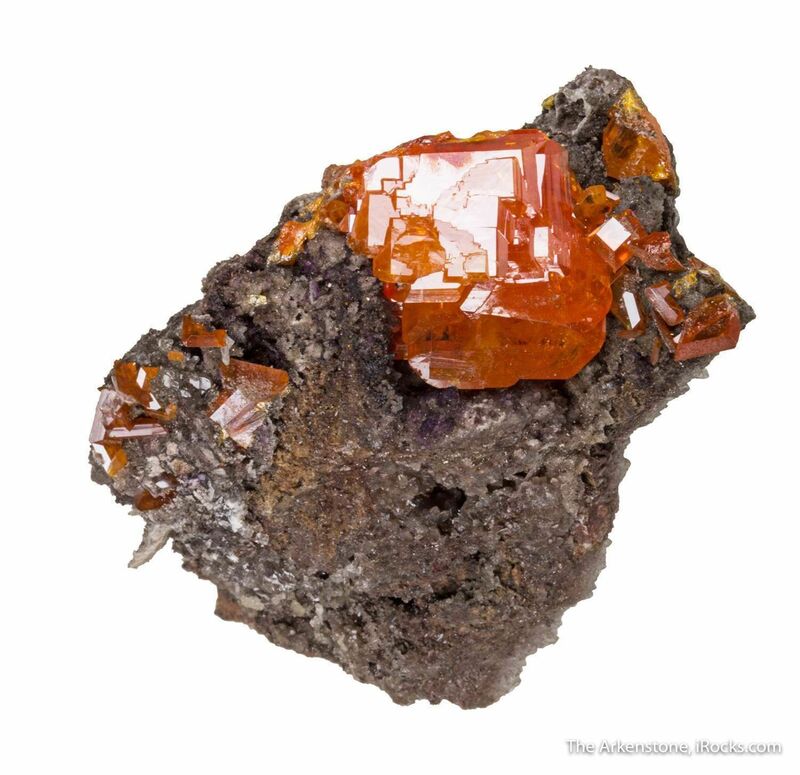 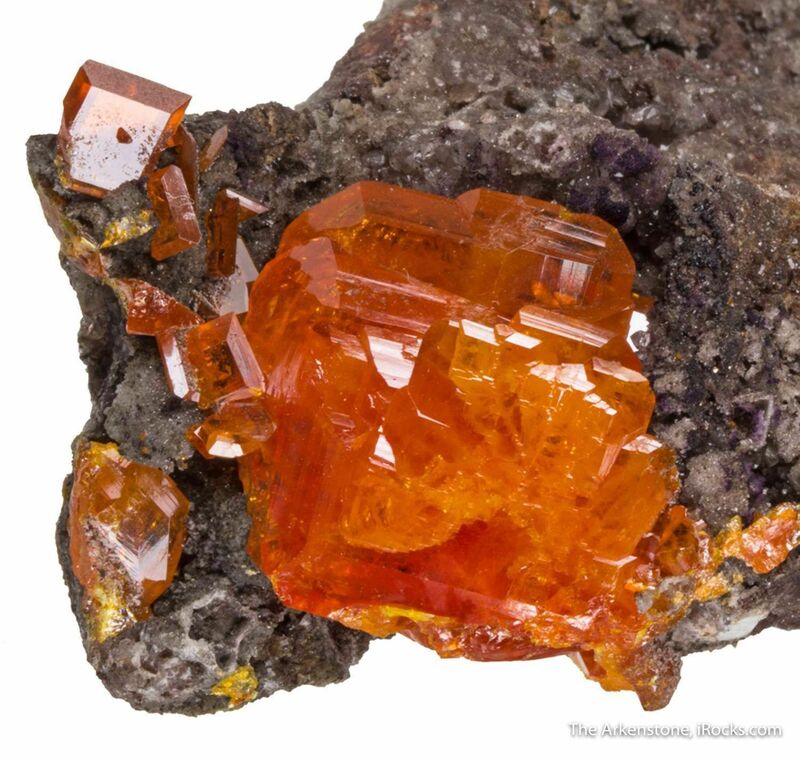 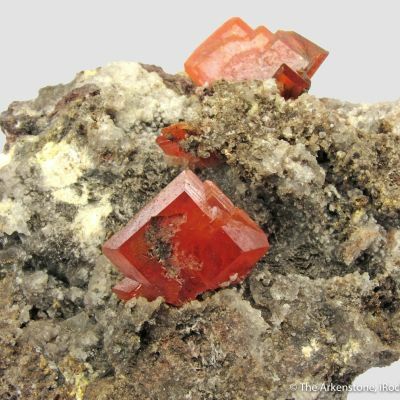 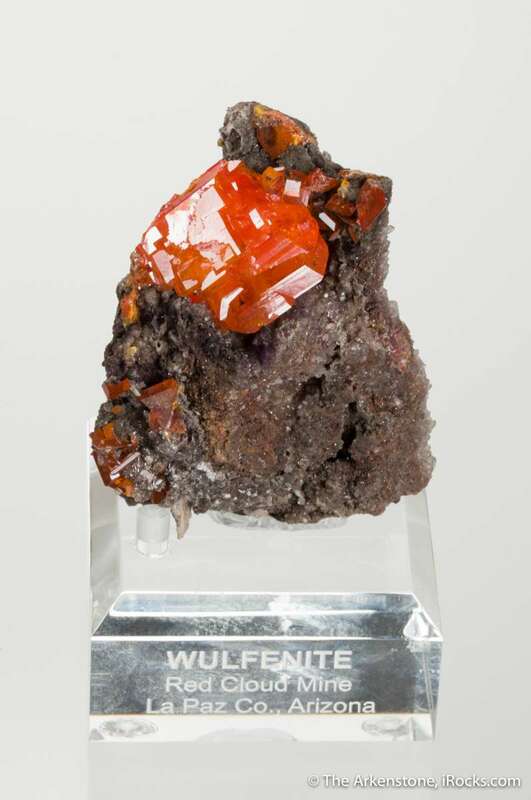 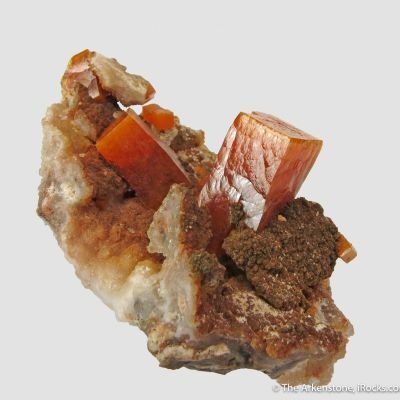 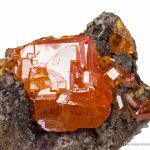 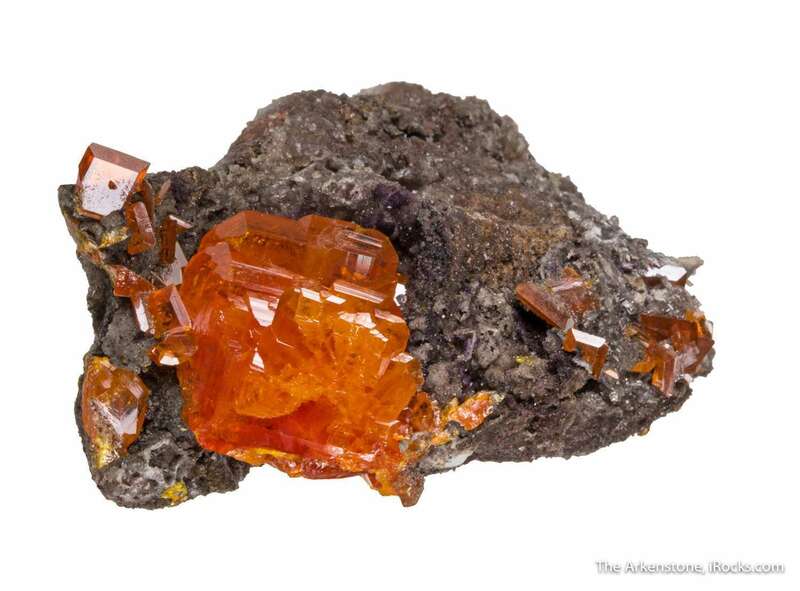 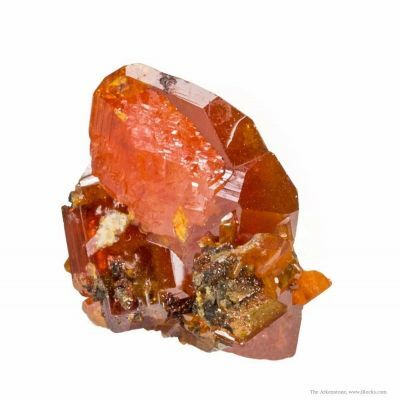 Lustrous and translucent, with a classic deep reddish orange color, this wulfenite miniature is representative of the best that has been mined from the world's top wulfenite locality since the 1930s when Ed Over made it famous among collectors. 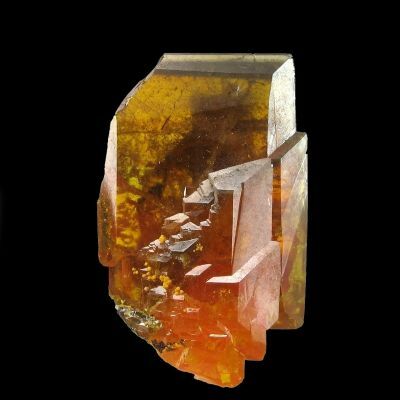 The piece has a dramatic presence in person that is hard to convey. 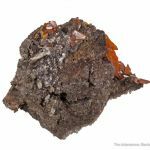 You just do not SEE Red Cloud wulfenite in such size, with such luster and color, and on matrix. 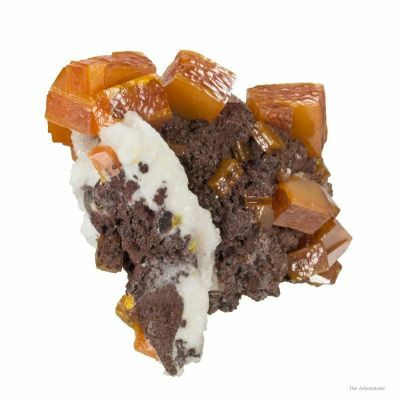 For me, this was one of the top pieces in the Bartsch collection for many decades. 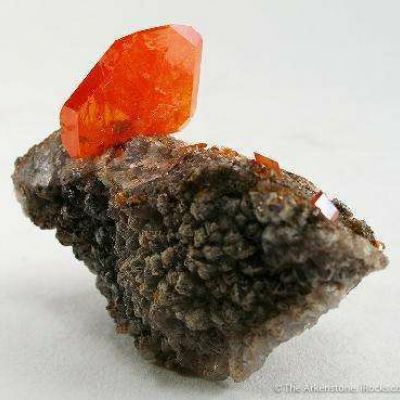 He self-collected it about 50 years ago. 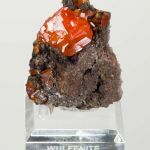 This is one of those specimens that has an outsized presence on a shelf for its sheer color and bling impact, and in addition is also a significant USA classic that I am very proud to represent for sale here for the first time since it was found.